Competition for car buyers is intense, as consumers have more information than ever to help them choose the right car. Video advertising is the most powerful way to capture their attention. There’s no better way to show off the vehicles you have to offer than on the biggest screen in the house. Coupled with digital video, geographically targeted video advertising ensures that customers are seeing your dealership’s name when they’re thinking of purchasing a new vehicle. Comcast Spotlight’s multi-screen solutions include television and online advertising to integrate an advertiser’s message to local car buyers in a more engaging and impactful way. More than 81% of the time consumers use media—more than 5.5 hours per day—is spent with TV and digital platforms. They’re catching up with their favorite shows, streaming video and surfing the web from just about everywhere—even the couch as they watch TV. As consumers use more media than ever before, your dealership’s advertising will deliver the greatest return on investment when a consistent message is seen across screens. Reach and recall increase when customers see both TV and digital advertising, and we can develop a strategic, coordinated plan to fit your unique needs. To learn more about how cable television and online advertising can help your dealership reach the right audiences, download our one sheet. Video has always been the most powerful way to engage and excite audiences, and new tools and platforms make it possible to deliver the right messages to the right car buyers at the right times. Different vehicles are right for different buyers. You can segment audiences based on research about which types of buyers are more likely to watch certain programs and networks, and deliver those messages to the people who live in your PMA. Dozens of demographically targeted channels and more digital video content than ever allow your dealership to precisely target audiences, and take advantage of consumers who increasingly use TV and digital devices together. Across a range of criteria, from age and gender to home ownership and relationship status—and just about everything in between—you can efficiently and effectively reach specific audiences based on one or multiple factors. Step 1: You and your Comcast Spotlight team develop a video advertising plan. Step 2: You receive a 10% benefit, either in the form of 10% more spots or impressions, or a 10% discount off negotiated rates. Step 3: If you choose to have MarketCenter process your invoice you don’t have to send your Comcast Spotlight invoice to MarketCenter. MarketCenter will be set up as your Ad Agency and will receive your invoice directly from Comcast Spotlight. Step 4: You watch as local customers visit your website and come through your front door ready to buy. Comcast Spotlight’s targeting capabilities work with precision. We combine our anonymized first-party viewer data with third-party geographic, demographic and psychographic data to work to identify your ideal audience. Then we deliver your message to the customers you’re looking for. Your potential customers may live around the corner, in the city or in the country. Wherever they live, you can deliver your messages and reach your audience efficiently and effectively with Comcast Spotlight's geographic targeting capabilities. Since most consumers—9 in 10—typically travel 20 minutes or less for common purchases,1 you get the most bang for your buck by delivering your advertising geographically. We’ll help you identify the areas where your potential customers live and work, and deliver distinct messages tailored to different locations. Potential customers see the message that’s most relevant to them. Learn more about our local and regional geographic targeting solutions below. 1Access Development, “The Impact of Retail Proximity on Consumer Purchases,” November 2016. Cable television has a rich history of reaching specific audiences and demographics. It’s a powerful tool for your business, and today the ability to focus on lifestyles and interests extends from TV to digital platforms. Our solutions are powered by proprietary planning technology, allowing you to find the right audience for measurable success. Your local Comcast Spotlight team can show you how a multiscreen advertising plan can be strategically focused on the consumers you need to reach. Check out our markets section for detailed information about your region. Local brands need the right partner to thrive. Our media experts in local markets truly understand the geographic and demographic data and insights to help you succeed. With dozens of demographically targeted networks and thousands of shows, we can deliver your message in content watched by your desired audience, all day, every day. Your potential customers will see and remember your name during the programs they enjoy most. Cable TV advertising puts your brand front and center on the biggest screen in the house. You’re the expert when it comes to your local market, and we know how to make local advertising work for you. Since regional brands operate on a larger scale, you need media experts who are ready to prove their impact on your business in markets that matter to you. Comcast Spotlight combines best-in-class technology with rich data and the scale to deliver your message. 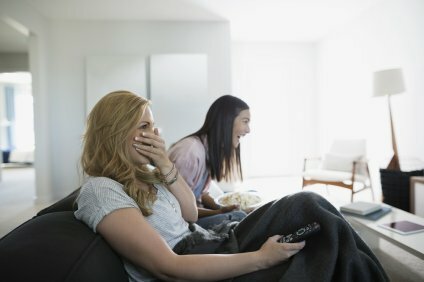 Reaching millions of households across the country, we can deliver video impressions across linear television, Video On Demand and digital solutions—networks, apps and websites viewed on mobile devices, computers and smart TVs. We combine geographic and demographic targeting in entire markets and individual zones across dozens of television networks and professional-caliber, brand-safe digital video. Our team of industry experts is committed to making advanced solutions easy to execute across screens. When you reach the right audience for your message, more is better. Comcast Spotlight has the ability to deliver ads to your desired audience even if they don’t have access to Xfinity products. Our Interconnect Plus platform (I+) expands your brand’s reach by delivering your message to audiences subscribing to television service from cable, satellite and telephone companies in a single ad buy. Cable advertising has always been an effective way to reach important audiences, and now it delivers even more of those viewers. By partnering with a trusted leader in the media landscape, your brand will have the opportunity to utilize commercial-level ad exposure data to more efficiently plan your media. You can go deeper than age and gender demographics, basing your media strategy on dozens of key audience attributes. We combine anonymized, aggregated first-party data with third-party partner data to create customized audience segments that deliver your true target audience. Then we deliver a detailed post-campaign report showing exactly how your campaign delivered, and how it can be improved for future flights. Let us put household-level data to work for your advertising message to most effectively reach your desired audience. Audiences respond better to messages that are relevant to them. Our addressable TV advertising solutions give your message an advantage. This approach to the rapidly evolving entertainment landscape is one of the many technological and strategic innovations our teams bring to a working relationship with you. Your business has a story to tell. Comcast Spotlight has creative teams that are ready to bring your message to life through video commercials. We can help craft the advertising message that is perfect for your audience, that feels authentic for you, and that’s strategic for the category and market.